A steamy mixture of a water sign and a fire sign, this combination makes for a tricky one. Both signs basically want different things from life and have different outlooks on life. Scorpio and Sagittarius, both have strong personalities, drawn to each other by intrigue and an attraction that defies explanation. Scorpio native is fascinated with the charms of Sagittarius while Sagittarius, on the other hand, is attracted to the mysterious but honest nature of the Scorpio. Both signs bring a huge amount of passion to the relationship but their volatile natures make this partnership difficult to sustain on a long term. 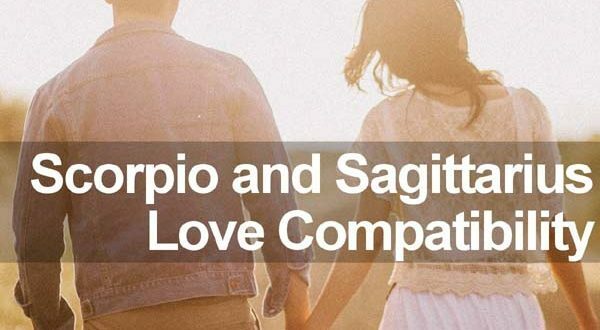 The Scorpio-Sagittarius relationship is a challenging relationship to work. For this relationship to last, there has to be a deeper level of understanding between the two partners, patience and willingness to compromise. The Scorpio Male: Underneath his cold personality, the Scorpio man is highly sensitive and feels lonely and unfulfilled. However, many times due to the secret nature of Scorpio, he will not let his partner know this. A Scorpio male can also be easily jealous, possessive, passionate and intense. He craves intimacy. The Scorpio Female: The Scorpio woman is very emotional, and demanding. She is also very mysterious and hides her real feelings underneath a cold exterior, just like her male counterpart. She is not easy to ‘woo’ and does not trust people easily. She may not show it, but she wants a close, committed relationship. The Sagittarius Male: The Sagittarius man is a self-confident, good spirited, logical thinker, with a big picture approach to any situation. Sagittarius native is a born leader, generous and just and an eternal optimist. However, he is difficult to pin down as he is an adventurer at heart, can be easily distracted as he loves the thrill of the chase. After the initial attraction that brought them together wears off, it becomes clear that to both partners that they might just have bitten off more than they can chew. The trouble begins when Scorpio’s possessiveness tries to force freedom-loving Sagittarius into some kind of commitment. The more Scorpio tries, the more Sagittarius wants to run away and thus, the couple struggles in the relationship. Also, Sagittarius is more of “the life of the party” and loves being out among people while Scorpio prefers the comfort of their home. Open and honest Sagittarius will also take offence with naturally secretive Scorpio because while Sagittarius lays their soul bare, Scorpio does not reveal their true emotions easily. Tags friendship between scorpio and sagittarius Is Sagittarius and Scorpio a good match? sagittarius and scorpio work relationship sagittarius man and scorpio woman friendship scorpio and sagittarius friends scorpio and sagittarius friendship scorpio and sagittarius sexually scorpio and sagittarius similarities scorpio and sagittarius work compatibility scorpio attracted to sagittarius scorpio man attracted to sagittarius woman Scorpio man Sagittarius woman compatibility scorpio sagittarius compatibility scorpio sagittarius love scorpio vs sagittarius fight Who is a Sagittarius most compatible with?